Aardewerld : A powerful Tindolyn ceremony of light and uniting as one. Aardwerlde Novis: The great and final Aardwerlde of the Tindolyn, where it is said ‘The seven shall open a portal to the greatest adventure of all. An emprise like no other!’ speaking of the seven Batrayne crystals being reunited. Aaron: Gastigar name for Eli, the Creator. Abysma: Large spider like being with a scorpion tail and a female face with rows of 8 eyes. She covers the Tangled Wood with her web. She is later slain by Kwyjene. These creatures are known as Bloodkis. Acadia Angelus: A young Trocolane playmate of Destini Storm. Aegis: Octis Regis of Heramon. Kind of like a prime minister, personal aid to the king. Father of Sidara. Aegean Web: First phase of the labyrinthian depths beneath Castle Heramon; dark and full of many spider webs upon its gate. Aelron: Elemental beings of the waters of Deepmere who claim the Deepmere for themselves till Raven shows them the peaceful ways of the Skyebara. An ancient elemental as old as the beginning of all creation. Aelron and Gaelen were the first people of Terra Zem. Aelwick Bright Steel: First dragon child of the Zmaj since the liberation of the Zmaj from Shinar. Child of Muyai and Eris. Agnar: The town Raven and Skyeyes rescued from the pirates of Shinar and who inherited the sailing vessels that made up the fleet of Heramon. Albright: A creature with the body of a large cat and wings upon its back. Beast and companion of Enya. Aldran and Ilene: Twin children of the E-La-Na that become special friends of Raven and Skyeyes. Alkula: Female pup of Altair and Alkul. Bonds with Raven and becomes part of his tribe. Alkul: Principle character. Female wolf. Altair’s mate. Bonds with Raven and becomes part of his tribe. Altair: Principle character. Male wolf that bonds with Raven and becomes part of his tribe. Altara: Male pup of Altair and Alkul. Bonds with Raven and becomes part of his tribe. Alphaeus: Most ancient of ages recorded by the Katagonians. The age of ‘Beginnings’. Also the first human. Amerdan Barduk: An Arcamagi of a high order. It was he who hid Isabella on the day she was rescued by Blackstone and cared for her and taught her many skills of healing, medicines and poultices and passed on his secrets to her when he died including the formula for blackstone powder. Ancalen: The ether realm of Raelyon and the Talon people. That place of consciousness they enter when they are one with the reptiles they hunt and the life around them. Andromeda: A young maiden that was to be sacrificed to Wryjang, an evil demi god of the city of Paragon. She was rescued by the Shadow Reavers and blessed of Eli to be the oracle that would teach the delivered people of Paragon with the knowledge and the scroll given her by Eli. Arabesque: Reptilian like creatures that stand about the height of an average human and love to dress in fine and shiny array, very proud of the way they look. They laugh loudly and stick out their tongues a lot sensing the air around them in typical reptilian fashion. Araquiel: An eagle bonded to Cadriel of the Wind, a Teragaard that stopped in to observe the training of the young ones on the Dawn Striker training ground. Arcamagi: Creatures that are humanoid that practice arts of healing but also know plants that kill. Arcamancer: An ancient dragonian power to store the life force of some living thing in an object of the Arcamancer’s choosing. Archane: Spirit, angelic like beings that are servants of the Creator and guardians and guides to all who walk in harmony with the Creator and creation. They are seen when Blue Sage is burned and offered as a prayer. Archane Sentinel: An elite order of the Archane. They are the ones who guard the doorways to the various realms of Terra Zem. Only they know the location of the doors and have the power to open them. Archulus and Aurelia: Great parents that birthed all Tindolyn until the great Aardewerlde Novis. Arcturus: One of the two remaining of the original seven of the Arcamagi. Arias: Pipes that are played by Ichor, the Red Mist, that lead the parents of many into captivity in his realm. Ariel Crystal Mist: Queen of the Dragones Seakind. Arkos: Principle city of refuge. The first city of the Skyebara. Arn: Young master hunter of the Talon. Arpateyatra: The amphitheater of Arkos where people gather for entertainment and teaching of spiritual truths. Aura: One of ice people, female, the Daenar. Auris: One of ice people, male, the Daenar. Avalon: Eli’s name in the realm of Crystalfall. Azareel: The master song that was sang every morning edification of Valkyrie Veritas that was the combination of the individual battalion sounds called the Hesiods. Balazeem: Male pup of Altair and Alkul. Somewhat clumsy and humorous but holds his own when it counts the most. Bonds with Raven and becomes part of his tribe. Balteus Veritas: The belt of truth given to Drogan by Yesu. Batrayne: Crystal weapon of the Tindolyn that can kill, torture or heal. There are seven crystals of Batrayne. Only those high in rank among the Tindolyn may wield them. The Tindolyn posess five of the seven. It is unknown where the other two are. Batrayne Fiercewind: First hero of Terra Zem wielded the Crystal Sword. It was he slayed Simitar first evil one to arise in dragon form and darken the skies. He embedded the sword into his chest which made him no more than skeletal remains. He drew it forth brave and true. So powerful was the sword that it is said the wielder could rule all. He would not be tempted for he believed power was for all so he shattered it and it yielded seven shards. Five he gave to the Tindolyn, known as warriors small but fierce and true. One he gave to the Archane to hide. The seventh he hid in his place of birth and sunk it into the heart of the labyrinth and its heart did beat awaiting the day of Yadin who would wield it wisely once again. Batya: Female child leader of the Ganymedes, a child tribe in the isolated valley of Malaika. Malaika is the name of the valley and the kindly spirit who watches over them. Beacon Hill: Mysterious hill on the scroll map that marks Drogan’s quest to Loorneste Falls and the intersection where Aelwick and Drogan meet. Beskar: Caelholdt’s people. They live to be over 700 years old. They are also keepers of the Katagonian Scrolls. Betrayer: The Betrayer is the name of Raelyon’s spear made from a single bone fashioned from the bone of the reptilian Traxas who betrayed him. Betsalel: The female Watcher that travels invisibly with Raven and Skyeyes on their quest to deliver the Zmaj in the Battle of Shinar. She also decloaks her face and allows Raven and Skyeyes to see her. She leads them into the mountain fortress of Shinar. Blackstone the Unseen: A privateer, captain of the ship called the Covenant. He traverses the great sea, Terrakis. Blackstone is a warrior. He is a true child of Terra Zem. He is a study in contrasts though. He is certainly unparalleled, a most unique creature. He is certainly not gentle in a weak sense but he is kind and fair deep down though he does not wear it on his sleeve. Deep in his heart, though he commands with an iron fist, he is one you can trust to do that which is just and right. He may challenge you with his first impression but those who take time to know him on a deeper level find a comrade and true friend indeed. Blackstone Powder: Basically gun powder. Invented by Amerdan Barduk and passed on to isabella who passes it on to Blackstone. Blaze: A great maned lion with gold intertwined in his mane. The beast companion of Hadiya of the Wood, a dark skinned Terragaard of the Farwood. Bloodkis: Spider like creatures with half human bodies, eight legs and eyes, pincer like jaws and a scorpion tail. Abysma is a Bloodkis. Blood Wraq: The ‘sacred’ speaking place of Helkhadir. Blue Sage: Found at same time of year only once a year usually in Narowood but can grow by any tree that grows above a buried Arcamagi. A sacred herb that is burned and calls to the Creator and the Archane. Bolrock: The first and most powerful of the Arcamagi. Boneyard: Second in command to Warpath. Warreior people known as the Strixus. Breyze: One of five identical sisters with psychic abilities that the Shadow Reavers rescue. The sisters are of the Aevian Order established by Gaelen at the Red Rising. They are all red haired and have large green eyes. The other sisters are named Manos, Myrios, Firn and Kira. Brighton: Wolf mate of Alkula. Brisbane: An older Trocolane, husband of Florarayne who agrees to watch over Raven and Skyeye’s home while they travel to build the academy of fighting arts, Valkyrie Veritas. Brytpyre: One of four principle temples of Terra Zem. Of the fire element built by Yesu Zefire himself . Located on Icewynne where he dwells. Cadriel of the Wind: A Teragaard that stopped in to observe the training of the young ones on the Dawn Striker training ground. His beast is an eagle named Araquiel. Caedmon Ivy: First mate and long time trusted friend of Blackstone. Caelholdt the Helmsman: Helmsman of the river. He lives on his raft. He is of the Beskar. His wife is Sidara whom he outlives and mourns her death. He was over all the water vessels of Heramon. Cain: Very ape-like beings that always crawl on all fours close to ground. They have a very strong odor which appeals to some and to some it does not. They are very terra loving beings and probably seem pretty dirty to most. They enjoy rooting around in the dirt but are very intelligent, practical and knowledgeable when it comes to Terra Zem. Callandrian Pipes: The pipes were a gift from the skilled craftsmen of the Teragaard. They were beaten from a metal they called brass. Some were straight and very long. Some were curled about like ram’s horns. Some were higher pitched than others but all very characteristically had a distinct drone to them. Cadriel had presented them to the academy from his people. He explained that they were designed to ‘speak’ in times of battle and that skilled players knew and played a combination of tones that were understood only by the Teragaard. He proudly made known to us how it would drive the enemy insane on the battlefield for they knew not the language but knew that whenever they blew their demise was upon them. They were placed all along the high walls of the castle and in a couple other high positions in trees about the grounds. Calina Savage Wood: Zmaj female born to Daya and Lystra. Calmar: A place of peace and tranquility Raven and Skyeyes went to that was near the Valkyrie Veritas and near their dwelling near that place. A place of meditation and solitude. Carnebleu: A powerful flower and herb that only grows in one place on the side of a desert mountain with a peak that is shaped like Lunas in its last phase. A flower that must be retrieved to heal Altair who has been bitten by a fiery winged serpent. Carnisians: Reptilian terrors that stand upright on two legs and whip their tails about like a weapon. Their tails are very long and are often used as weapons. They always travel in packs of three. Very often one will surprise its prey and keep it distracted while the other two strike from both sides. Cayteus: Female Arabesquean captain at battle of the Red Mist. Cobalt Wellspring: Last of the Dragones Terrakind. Guardian of the crystal forms of the Terrakind that were thought destroyed by Shadowend. Mother of the first child of Nascentia. Cormac: Ganymede captain at battle of the Red Mist. Covenant: Great ship of Blackstone the unseen. A privateer and marauder of the great sea Terrakis. Crystalfall: Realm of the dragones Terrakind. Realm that opened up to the Shadow Reavers and the others who traveled with them as they explored beneath Castle Heramon. An underground realm where everything is alive and communicates even the plants and rocks. Cryyhorde: A whale like creature of the northern waters hunted by the Daenar. Cutlass Shadowstar: Beskar adopted son of Caelholdt and Sidara. Technically brother of Sidara who were both children of Aegis, Octis Regis to Heramon. Perhaps last of Beskar scribes and sole practitioner of the Vox Paladin. The voice used as a weapon. Daedylus: Elder of Soulriver cast out with the people who would not serve the evil self-proclaimed prophetess Lillith Bound. Dart Digron: Trocolane son of Dyfar Digron. An early playmate of Jaden Thorn. 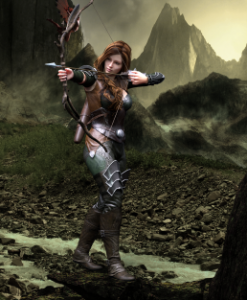 Dawn Striker: Name Kwyjene is known by in Necian prophecies in land of Dragones Seakind. Dawn Strikers: The name of the newly formed Trocolane warrior clan adopts in honor of Kwyjene. Dax: The first person Raven and Skyeyes meet in Agnar. A leader of the town. 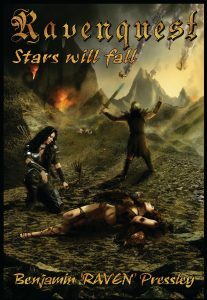 Daystar: The first Tindolyn Raven and Skyeyes meet. A female that is very feisty and takes charge of other Tindolyn when necessary. Deathbox: Kind of a last will and testament. A box containing the last wishes or whatever secrets they wish to pass on when they die. A tradition of the Arcamagi. Death Furies: The true name of the bat winged ones that stood by Shinar and attacked cities like Forsaken. All did not follow Shinar though. Some survived and lived in the caverns at Farshade for a time till their disease killed them all but one. The only one that survived was Drogan who was not raised as a Death Fury. He was raised by an Arcamagi named Grimhiss. Deepmere: Great canyon valley and river of great beauty that Skyeyes and Raven discover on the way to Windsong. Lush and beautiful valley and river that many people live near such as the Rainloch. Destini Storm: Daughter of Raven and Skyeyes. Twin of Jaden Onaga Thorn. Dragones Seakind: Water relatives of the Zmaj. Their home of legend is Lochkeep. Dragones Terrakind: Soil relatives of the Zmaj. Dragones of the soil and its elements. Last of Dragones to be restored. Dragon’s Tear: A tear shaped crystal given to Destini by Guinemere that caused the sky of crystal stalagtites above to glow like one star to follow as we journeyed in the the realm of Crystalfall to our destiny with Shadowend. Drakeshield Bonebrow: Older young person of the Trocolane training to be a Dawn Striker. Kills a buck after one of training sessions for all to eat. Dreadbane: The creature that the Shadow Reavers are warned of by the priest before he dies at the temple ruins who is eventually slain by the Shadow Reavers by the Silentsong weapon. Dreadhawk Darkhunter: Leader of the Strixus before Kaga Bloodshield. General that Warpath and Boneyard fought under. Drogan: Name of the little Death Fury that Grimhiss rescues and raises as his own. Later is transformed at Loorneste Falls and becomes Drogan Lightshade in the original form of the Faowin. Angelic beings with white, gold and red colored hair and wings. Guardian between the light and the dark. Dreaming Falls: The place where Raven and Skyeyes become one. Dreaming Time: Have you ever felt such a deep feeling of hope and could not explain it? Have you ever felt like something great was about to happen and maybe didn’t even know what it was but somehow didn’t care? Have you ever felt you had the answer yet could not verbalize it, you just knew? That is a Dreaming Time. Dyfar Digron: A Trocolane young one that traveled with Skyeyes and Raven on their first return to the Trocolane village and had a clue to the tiny map left by Kwyjene. Later becomes leader and organizer of the Dawn Strikers, warrior clan of the Trocolane. Edgeron: A lake of Terra Zem. The lake where One Willow is found by Eli, or Aaron as he was known to her, as a child. Eli: The name that Raven and Skyeyes and others know the Creator by that guides them. He takes many forms throughout the story. He is the Great Spirit and Creator of all things. Elysian Winds: Luxurious hot springs and spa for all weary travelers. Enya of the Sky: A Teragaard that lives in a bark treehouse in the Ancient Tree That Weeps. She lives there with her companion and beast Albright. She is described as follows: A tiny female dressed in animal skins and a hat upon her head that comes to a point in front with several colorful but odd feathers stuck into the brim. Her animal skins are dyed in several colors and have many symbols upon them. Some appear to be drawn, others embroidered. She carries a spear in her hand but also has a sheath upon her back containing a bow and some arrows as well as a nice blade at her side. Her features are elegant and fine. She has long golden hair with various braids irregularly arranged upon her head and some of her braids are adorned with feathers and beads. She is about half the height of Raven and her ears come to long points. On one of her ears she has an intricately designed earring that was in two parts connected by a chain. One part pierced the lobe of her ear and the other has a cuff that is placed farther up on the ear. She rides the beast Albright. She also has some type of tribal markings inked about one eye. Erikaarn: The great eagle that guards Castle Heramon and mourns his death. Espandor: The desert where Tempest lives and where the Carnebleu grows. Eyte Cognoseis: An ancient Daenarian phrase that means ‘You Will Know’. It is used in the journal from Lochmysse. Faoturk Firedorn: An Arcamagi that accidentally dug a Shadowlair into the private storage chamber of many Katagonian scrolls stored by Cutlass Shadowstar, Beskar scribe and adopted son of Caelholdt, in the labyrinth beneath Castle Heramon. He is short, has a beard to his feet, hair to his shoulders, a wide brimmed pointy hat and multiple magnifying lenses he wears like glasses and he has a mouse that lives in his beard named Nimbus. Faowin: Ancient name of the Death Furies before they became evil. Angelic looking beings with feathered wings and hair of white, gold and red. Farcry: When Yesu cries out upon Icewynne every dragones feels the irresistible power and stops what they are doing and joins in with a flap of their wings, a shout and a flame breathed from deep within. It is a time of unifying, cleansing and empowering. It is felt like a tremor throughout Terra Zem but it is the Zmaj who feel its power most. Farshade: The deep and dark caverns where the remainder of the bat winged Death Furies dwell, those who did not follow Shinar but are a dying and diseased race that eat many creatures and even eat their own. Farwood: Woods where the city of refuge Wellacre is. Fearlock: The river that forks off of the Sheng Huo that flooded submerging Castle Heramon. Fenrir: Leader of the Rainloch. Fera: A World Walking creature that is described as having one eye, tall, a huge slobbering mouth, long gangly legs and as comfortable on two legs as four, long talons and three fingers and an opposing toe or thumb. 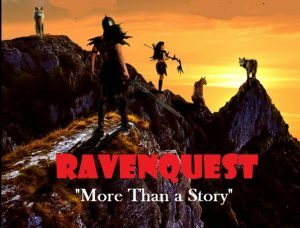 It is feared at first but Jazeer shows Raven and Skyeyes he is just a gentle creature they have misjudged. Fernwood: One of adopted daughters of Eli who helped raise the orphaned One Willow as a child. Finweh: Aquatic people that have frog like legs and an upper body like a human, like Guinemere. They are from a great underground sea beneath the realm the Shadow Reavers explore beneath Castle Heramon in realm of Crystalfall. They sometimes visit this realm by way of underwater caverns beneath the river they call Lexis. They are lovers of peace and true children of Terra Zem. Fire Bend: The village without walls and boundaries where people gather to hear the Oracle, Mitra, sister of Skyeyes. Firebrand: City of refuge west by the great sea. Firewolf: Leader of the Woodsage. Fire Viper: Woodsage captain at battle of the Red Mist. Firn: One of five identical sisters with psychic abilities that the Shadow Reavers rescue. The sisters are of the Aevian Order established by Gaelen at the Red Rising. They are all red haired and have large green eyes. The other sisters are named Manos, Myrios, Kira and Breyze. Florarayne: An older Trocolane, wife of Brisbane who agrees to watch over Raven and Skyeye’s home while they travel to build the academy of fighting arts, Valkyrie Veritas. Flowing Hair: Green Beard’s mate. Forsaken: A city that Skyeyes and Raven visit on their journey that is a city of debauchery. Children are not looked out for and run loose in the streets. There are poor outcasts in camps on the outskirts of town. They defend it against Dark Furies attack and later its name is changed to Jeru. Furia: Scaled cat of the Talon that Platis befriends. Fyn, Gilldale, Katefis: Rainloch closest to Fenrir that assist him in tribal matters. Two males and a female. Gaelen: Wind and air elemental as ancient as the beginning of all creation. Aelron and Gaelen were the first beings of Terra Zem. Gaezon : Village of the E-La-Na where Raven’s brother lives. They are a faltering village till Raven and Skyeyes teach them how to hunt and fish. Galceon: Supposedly the best soldier of Gargamon that is ripped to pieces by Platis. Galcles: Rune captain in battle of the Red Mist. Gallo: One of ice people, the Daenar. Ganymede: a child tribe in the isolated valley of Malaika. Malaika is the name of the valley and the kindly spirit who watches over them. Gargamon: A general and leader of the bat like Death Furies under Shinar. A general over ten thousand. Gashi Margaglio: A female Arcamagi who tries to tell the Zmaj of the impending danger of the Dreadbane. Gastigar: A shape shifting people made of leaves. Glimmer Frost: Female Tindolyn captain at battle of the Red Mist. Gondul: Archane Sentinel slain by Ichor and mate of Malaika. His blood made it possible for the pipes of Arias to be carved with the blood soaked knife he was slain by. Heis held captive in the Arian pipes awaiting the day he will be free. Gordiss: Last of the giant Tantra people. Gorphas and Monca: Death Fury parents that give birth to a healthy fury, Drogan . Monca dies giving birth. Gorphas escapes with the child but dies soon after. Great Light: What the sun is called on Terra Zem. Green Beard: The first Trocolane Raven and Skyeyes meet. He is one of principle leaders of the Trocolane along with Red Beard, Black Beard and Gray Beard. Grimeldorf: Principle father overseeing Windsong. Kind of like a mayor. Grimhiss: An Arcamagi that finds the baby Death Fury in the arms of his dead parent, Gorphas and raises him as his own. He is old and has left his people to live alone. Guinemere: She is a Finweh. She is from a great underground sea beneath the realm Crystalfall. 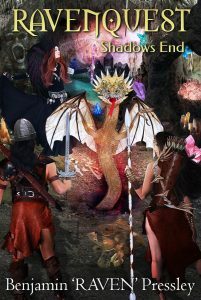 The Shadow Reavers entered through Castle Heramon’s underground depths. Her people sometimes visit this realm by way of underwater caverns beneath the river they call Lexis. They are lovers of peace and true children of Terra Zem. She is aquatic having legs like a frog and wear much jewelry made from seaweed, shells and stones found in the water..
Guyer: One of the poor lost souls on the outskirts of Forsaken who comes to serve Skyeyes and Raven and instead ends up getting served first by Skyeyes. Guymayne: Longtime friend of Grimhiss. Also an Arcamagi. Hadiya of the Wood: A dark skinned Terragaard of the Farwood. Her beast is Blaze a great maned lion with gold intertwined in his mane. Hall of the Mountain King: The cave that is discovered by Raven that changes their life. For it is here they are armed for their purpose. Raven puts on a helmet from the head of the skeleton upon the throne that looks like a raven’s head. Skyeyes’ helmet is silver with wings upon it. When they put on the helmets they suddenly know many things they were never taught. It is also where they find the great sword, Ravensgaard and the bow and arrow, Orion. Haloplexx: A seeing lense given to Raven and Skyeyes by Jazeer from Eli. It becomes important later as it allows them to ‘see’ the gate of Arkos and other things invisible. Hanishywa: Name Maandama gave Raven’s happy dance in their lodge as he made blanket coats. They said it meant, ‘Raven’s Blanket Dance’. Helkhidar: Country of origin for the Strixus, fierce and ancient warring people led originally by wicked Kaga Bloodshield. Children raised from birth to fight, human sacrifice was even practiced until the reformer Yuma Flameseeker. People that Warpath originated from. Heramon: Greedy king who will not leave his riches behind when his castle is flooded and submerged in the river Fearlock. Blinded because he tampered with the ancient seal of the Omega Scroll. Hesiods: The individual sounds given to the battalions of Valkyrie Veritas that combined into a master song called the Azareel. Highsage: Fortress of Erikaarn far back and in the peaks of the Wayhill range. Icarus: The Primape (monkey) friend of Jaden he met in Crystalfall. Icedagger: Principle city of the people of the north, the Daenar. Icewynne: Highest mountain peak on Terra Zem where Yesu dwells and sees all things. Ice Fang: Woodsage captain at battle of the Red Mist. Ichor: The evil one known as the Red Mist who has invented the pipes of Arias that have lead many of the parents of Terra Zem into his realm where he rules in his shadowy realm. An evil wicked one with the appearance of a tall one in robes, his head has great curling ram’s horns upon it and his eyes burn like fire. He is surrounded by a red mist and seemed to be made of the mist and flames that come from his nostrils and cloven hooves instead of feet. It was as if a wind constantly swirled about him as he raised the pipes called Arias to his lips to play and when he played all the parents of the Ganymede were drawn away and never seen again by the children they left behind. Also parents of the Woodsage, Rune, Arabesque and Tindolyn. Igos: Beast companion of Tibolt. A large reptilian creature who walks on four legs beautifully adorned with reptilian markings so unique you would think it too had been custom inked. He has copper arm bands also with fringe upon them as Tibolt has. Iprix: Musical instrument of the Rune. Like a pump drill, but as the flywheel spun about it had holes drilled just so and streamers around its edges that made an amazing sound. Ironice: City of refuge far north hidden in the land of ice. Ironmark: One of the lakes that feeds the rivers of Terra Zem. 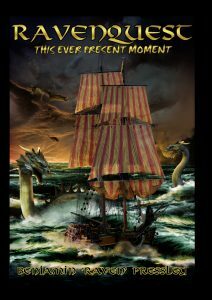 Isabella: The young lady Blackstone rescued from sacrifice by Red Legs and who later becomes wealthy and falls in love with Blackstone and builds the sailing vessel, the Covenant. Itylus: Principle father and leader of the Talon. Great reptile hunters. Jade: Guardian of the oracle Mitra. Mitra is also Skyeyes’ sister. Jade is a muscular cat-like creature with the face of a leopard and is also a servant of Jazeer. Jaden Onaga Thorn: Son of Raven and Skyeyes. Twin of Destini Storm. Jagaworf: Evil large wolflike black beast that killed Nuwolf and hides in the labyrinth known as the Whispering Void. Jazeer: A cat like being with a gray robe that smokes a pipe and is very wise. He lives in the world of dreams and becomes another guide to Skyeyes and Raven. Jazon Wolfbane: Blackstone’s birth name. Jenstar: A female Trocolane that particularly stood out as an exceptional up and coming young warrior of the newly formed Trocolane warrior clan, the Dawn Strikers, named after Kwyjene’s name from the Seakind realm. Jeru: The name that the city of Forsaken is changed to after they are delivered from an attack of bat-like creatures known as Death Furies. Jespar Irefist: Bearer of the sword Senthyril Reaper. It is said he slayed a thousand enemies in one day with his sword. His sword is also the sword kept by Grimhiss that he gives to Drogan. Later it is found out he is the great father of the Strixus. Jonwort: A plant good for calming the nerves. Justinian Warpath: Present day leader of the Strixus. Fierce and ancient warring people led originally by wicked Kaga Bloodshield. Children raised from birth to fight, human sacrifice was even practiced until the reformer Yuma Flameseeker. Warpath followed the ways of Yuma and though they are still strong warriors they are now defenders of Terra Zem. Kaga Bloodshield: Original leader of the fierce and ancient warring people , the Strixus, originally from the land of Helkhadir. He was a wicked leader. Children were raised from birth to fight, human sacrifice was even practiced until the reformer Yuma Flameseeker. Stixus are people that Warpath originated from. Kali: Arabesquean captain in the battle against the Red Mist. Katagonian: Ancient people who chronicled all the known history of Terra Zem. They may no longer exist for they passed the Katagonian Scrolls on to the Beskar to keep. Katagonian Scrolls: Most ancient of scrolls that record all the history that is known of Terra Zem. So called because the name of the people who wrote them were called Katagonian. Katagonian Obelisks: Circular shaped stone tablets, milky white in color and full of colored lights when looked into. They contain the most ancient accounts of Terra Zem and its creation and the days of Alphaeus. Kibidon: A watcher known by Enya. Kronos: Keeper of time. He seemed to be faceless and had a ragged and dark robe with a hood covering his head. His hands were bony and skeleton like. He had many ancient runes written all over his hands. He held an hourglass like a lantern in one hand and indeed it did give off light like a lantern but it was unmistakably and hourglass siphoning its sand ever downward. He then uncovered his head and his head though covered with skin clung tightly to the bones of his skull and gave him a very skeleton like appearance. He was hairless and in rows all across his skin were more of the runes covering every inch of his skull. He had pins that stuck out of his skin in rows covering his skull and face arranged in such a way that the pins formed a pattern like many rows. Kuchba: An expletive. A reference to a creature that is the outcast of outcasts among the dogs. Kusari: Whip chain of the Ganymede warrior. It has a weight on one end and several blades on the other. Kutami: A spicy, sweet dish sort of a cake, made by the Trocolane. One of Raven’s favorite foods. Kwiki: The orange and green striped fruit that only grows in the valley of the Talon. It is juicy and sweet and preserves meat from spoiling. Kwyjene: A Trocolane halfling. Her name means ‘She who stands”. Her parents and baby brother were killed by Abysma. She later slays Abysma and later goes on a quest with Raven and Skyeyes to find the Dragones Seakind. Kyhane: One of oldest survivors of the Beskar in the time of the Nocturnedream. He was 695 Solaris. Lady Storm: Name Skyeyes is known by in Necian prophecies in land of Dragones Seakind. Larisa: One of older female children of the child tribe of the Ganymedes. Laughing Rapids: A quiet place in the Tangled Wood near Silver Wolf Cascades where Alkula met Brighton. Lexis: A river in the realm of Crystalfall, the Shadow Reavers explore beneath Castle Heramon where they meet Guinemere, a Finweh. Liaison: Literally the liaison between the various Tindolyn provinces including the birthland of the Tindolyn Lorkeep. Libre Beskar: Library founded by Cutlass Shadowstar at the Valkyrie Veritas. Lieta: Little girl of the E-La-Na who brings Skyeyes the liver of the stag she killed. Her name means hummingbird. Lightkeep: Mountain fortress of the the Zmaj, reclaimed at the Battle of Shinar. Light Forge: Great, great, great grandson to the first created Tindolyn, Teruliye Sunshield. It was he who took the persecuted Tindolyn to the underground birthplace they know today. It was he who built the Shadow Crypt labyrinth. Lillith Bound: Self -proclaimed prophetess and ruler of the city Soulreaver formerly Soulriver), a town driven to debauchery and self-serving pleasure. Unsatisfied with the lives she had destroyed proclaimed herself Shadowend and dug a pit that broke through to Crystalfall and killed most of the Dragones Terrakind. Lochkeep: Legendary home of the Dragones Seakind, water relatives of the Zmaj. Lochmysse: One of four principle temples of Terra Zem. Of the water element built by Aelron. A structure of free standing megaliths with another ring of megaliths within the outer ring. Megaliths form ‘windows’ that point to places of importance on Terra Zem. It is also where the obelisk of origins resides. Loorneste Falls: Mysterious fall on the map scroll Drogan found in Farshade. It soon became a quest to find for a purpose. It is where he bathes and is changed to the original form of his people, the Faowin. Luka of the Shamanii: Raven’s guide in the Dream World. Very tall and thin. His fingers are long and stick like. He has a very kind face with large eyes. He dresses in animal skins. Lunas: What the moon is called on Terra Zem. A full Lunas is the measure of a month. Lunastones: Mysterious stones that are silvery gray and when used in sets of three reveal things. Many people have a set in their tribes. Maandama: There name means ‘people of the terrasphere’. They are a very earthy people that live secluded in a valley by a lake fed by a waterfall. Malaika: Malaika is the name of the kindly spirit who watches over the child tribe, the Ganymede, in their isolated valley. Appears as three sisters in one when their parents are drawn away of the Red Mist. She is Archane and mate of Gondul, Archane Sentinel. Mammothas: Huge elephant like creatures like the wooly mammoth. Also called Mammotts by Aldran and Ilene as they ride upon them. Manos: One of five identical sisters with psychic abilities that the Shadow Reavers rescue from an ogre and the Sleep Walker. The sisters are of the Aevian Order established by Gaelen at the Red Rising. They are all red haired and have large green eyes. The other sisters are named Kira, Myrios, Firn and Breyze. Marta: Female Ganymede captain at battle of the Red Mist. Mesareth: Rune captain at battle of the Red Mist. Migalitha: The great courtyard of the Tangled Wood. A beautiful place with great stone megaliths. There are three thrones there that Eli appears to them on. It is also where the Stones of Antiquity, also known as the Memory Stones are. These stones are inscribed and carved by the Scribas with the history of Terra Zem upon them. Mirrorhold: The new home of the Strixus once they were freed from reign of Kaga Bloodshield. Miokara: The first piece of the Silentsong weapon to be used to destroy the Dreadbane. It is a crystal spear point in the shaft of a short spear. Mitra: Prophetess, Oracle and sister of Skyeyes. Sole survivors of Thera Zum where the Sky People dwelled. Her village is a village without walls or boundaries named Fire Bend by Raven. Mole Serpent: A large harmless serpent of Farwood who burrows through the soil and the thick brush in Farwood that also forms trails for those who live there. Moon Dance: A male Tindolyn that is brash and in love with himself. Claims to be prince of Tindolyn when he meets Raven and Skyeyes for the first time but is corrected by Daystar. Moon Spear: Father of Daystar of the Tindolyn. Mor: Stick like beings. They are a little taller than most humans. Their skin is like tree bark and their arms like branches yet they move gracefully. Myrios: One of five identical sisters with psychic abilities that the Shadow Reavers rescue from an ogre and the Sleep Walker. The sisters are of the Aevian Order established by Gaelen at the Red Rising. They are all red haired and have large green eyes. The other sisters are named Manos, Kira, Firn and Breyze. Narowood: The woods on the edge of Farshade where the Arcamagi and other creatures live. 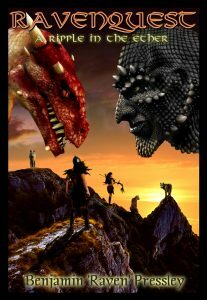 Nascentia: The day of the resurrection of the Dragones Terrakind. The great day of resurrection and the culmination and peak of all Dragon power to arise and make all creation new. It is said that all that is evil will bow before Yesu on that day. Also the name of the crystalline city that rose from the soil on the day of Nascentia. Necians: Tiny creatures that live in the flames in the land of the Seakind. Keepers of the flame and hearth, warriors of fire. Tiny two-legged beings dancing about forming the flames. They are brown skinned and their clothes are the flames. Their eyes were a bright blue-green and they had tiny antennae and ears that were pointed, swept back and long. Their hair was the flames and seemed to have a life of its own. Nexus Angelus: Mother of Destini’s playmate Acadia. Also a Dawn Striker. Nimbus: Mouse friend who lives in beard of Faoturk Firedorn, an Arcamagi. Nitawa: Large bear that Raven runs off when he meets Skyeyes. Later he breaks Washita’s leg and is killed by a Watcher. Noshi-Kiowa: Principle authority and father to the Maandama. Nos-Siddas: A Tindolyn word that basically translates to knucklehead. Nuwolf: Last of the Guardian Knights. Protector of the innocent traveler. Raven and Skyeyes meet him chained to the wall in Stygian Pass. Omar Badgerkind: A Trocolane that Skyeyes and Raven meet at the homecoming at Lightkeep after their adventure where Drogan is transformed. Omega Scroll: Mysterious scroll Raven dreams about that also has a key with it. Hidden in Castle Heramon. Part of unlocking the cities of refuge. One Willow: A leader. Kind of like a queen of the Gastigar. She is healed by the Water That Speaks when Skyeyes gives it to a dying One Willow at her kingdom in the dark part of the Tangled Wood. Oni: Name of Raven’s mentor as a child. Later becomes Eli the guide and the Creator and Great Spirit that appears in many other forms. Onyak: Small hunting boats of the Daenar. Basically kayaks. Oraquist: Ancient talisman that is later given to Raven to lead him to the Zmaj and also glows when Eli is near. It is two dragons intertwined. Orion: The silver bow and arrows that Skyeyes finds in the Hall of the Mountain King. It has a never ending supply of arrows and never misses its target. Orlake Cliffnest: A large hill where the great eagles like Erikaarn gather to fish and feast near the river Rainmere. Palador: One of older male children of the child tribe of the Ganymedes. Pemmic-knic: A trail food made from dried meat, berries, nuts and fat. It is made in a layer and cut up in squares or made into little balls. Perine: A type of hawk in the accipiter family that can fly through the woods skillfully. Platis: Principle character. A male bobcat. Somewhat humorous but a warrior. Bonds with Raven and becomes part of his tribe. Plunder Beasts: Spiny ones that were six legged and about the size of a wolf with frills about their neck that flared out, long talons and nasty teeth that were all pointed for ripping. They were beasts led by the Trog in a battle Warpath and Boneyard fought long ago they called the Siege at Deathfall. Prymape: Monkey like creatures with a stinger in their prehensile tail in Crystalfall realm. They also have webbed wings for gliding between their upper arms and upper bodies. Jaden makes friends with one called Icarus. Q’ara: Principle mother and leader of the Talon. Great reptile hunters. Quixot: A measurement of the Arabesque. The number 25. Raelyon: The child hunter of the Talon legend. Ancient ancestor, elder and founder of their tribe. Rainloch: Fish people of the great canyon valley of Deepmere. They live in caves. They are two-legged but are scaly and live on fish and clams. Their skin changes color in response to the surface they touch and also changes according to their level of emotion. Very often it is not a solid color change but patterns all over the body. Where we have hair on top of our head they have lots of long spikes that are striped and beautiful. They had webbed feet and hands and they have gills like the fish. Their clothing is also of a scaly looking but very thin and sheer material. They have jewelry that hangs about their necks, wrists and ankles. They are a very timid people. 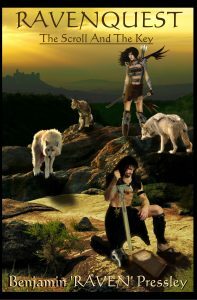 Raven and Skyeyes introduce them to fire and teach them how not to fear and to live in harmony with their neighbors. Rainmere: Powerful and tumultuous river that Skyeyes and Raven follow to Orlake Cliffnest. Raptos: Humanoid like beings with wings like the eagle. Their skin is very finely feathered. Their eyes are sharp like the eagle and they love their long finger nails which they paint very ornately, both male and female. Their faces almost come to a beak in shape but they are not beaked. Raven: Principle character. Raven of the Free. Original people are the E-La. Left his people sick of all the in-fighting. E-La name is Onaga. Ravensway: The dry cave where Raven resides after leaving E-La. His first home in story. Rayne Firechild: Firstborn child of the Nascentia. Born to Cobalt Wellspring of the Dragones Terrakind. The first Dragones Elemental. She will walk the realms and where she goes shall peace and healing follow and none shall withstand her. 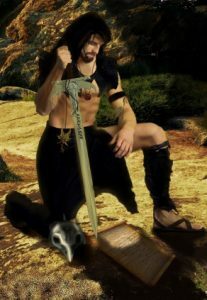 Red Legs: Pirate that took in Blackstone as a young man and whom he raided many villages until one day Red Legs’ power went to his head and he envisioned himself as a god and was going to sacrifice a young girl whom Blackstone rescued. Red Mist: Also called Ichor. An evil wicked one with the appearance of a tall one in robes, his head has great curling ram’s horns upon it and his eyes burn like fire. He is surrounded by a red mist and seemed to be made of the mist and flames that come from his nostrils and cloven hooves instead of feet. It was as if a wind constantly swirled about him as he raised the pipes called Arias to his lips to play and when he played all the parents of the Ganymede were drawn away and never seen again by the children they left behind. Also parents of the Woodsage, Rune, Arabesque and Tindolyn. Rhea: Name of Skyeyes’ mentor as a child. Later becomes Eli the guide and the Creator and Great Spirit that appears in many other forms. Rune: Fascinating tall, slim beings dressed in long robes. They have a very long face and head that reaches both tall and low. Their skin is very irridescent looking. They seem to turn different colors as they talk and laugh. They have large eyes dark as onyx. They are very elemental, very tuned to the universe and all living things. They are also very spiritual and insightful beings. Sabriel: Female equine elemental whose master element is ice. They serve as horses and more to Raven and Skyeyes. Sagewood: A Woodsage that caught a Stargen with a noose and pulled him from the water. Salom: City of refuge south of Arkos in the valley of peace. Samoon: Large tasty fish that Skyeyes, Raven and Arn caught ice fishing in the north and also speared as they swam upstream. Scribas: Tiny little creatures who live to record the history of Terra Zem on the Stones of Antiquity at Migalitha. Their chisels melt into the stone as they inscribe it. They are so tiny they have to swing from ropes all over the stone like a mountain. Seawa: Child and first of the Rainloch Skyeyes and Raven meet. Siege at Deathfall: Battle fought by the Strixus facing Trog and Plunder Beasts before they were led by Kaga Bloodshield when the Strixus were at their height in numbers. Sheng Huo: The great river that runs through Terra Zem. Its name means ‘life’. Senthyril Reaper: Sword of the champion Jespar Irefist. It is also the sword kept by Grimhiss that he gives to Drogan. Sentinel: Name Raven is known by in Necian prophecies in land of Dragones Seakind. Serenity: Host of the luxurious spa and hot springs known as Elysian Winds. Serpent Teeth: Shuriken like throwing blades of the Fangwing. Shadowend: Female demon entity that seeks to destroy light and shadow and the last of the Dragones Terrakind in the realm of Crystalfall. Formerly named Lillith Bound. Shadow Feather: Female huntress and mate of Raelyon. Shado: One of leaders of the ice people of the north, the Daenar. Shadow Crypt: Labyrinth in the birthplace of the Tindolyn where the seventh Batrayne Crystal is hidden. Shadowlairs: An Arcamagi may have several of these during a lifetime. They are secret places they can hide a secret or something valuable or themselves if need be. It is a place they can also work in secret if need be. Sometimes they are underground like and sometimes hidden other ways…And sometimes they forget where they all are. Shadowbolt: Great gold inlaid scorpion beast that Tempest rides upon. Shadow Reavers: The name that Raven, Skyeyes, Altair, Alkul, Platis and Kwyjene are known by after they slay Abysma. Shelor Bujrok: A seeress of Agnar. Now grown, but a child that was there when the Shadow Reavers delivered their town from pirates and awarded them the ships of Heramon. Shinar: The self-declared Dark Lord of the Realm that is leader of the bat-like Death Furies that try to cover Terra Zem with Shinar’s reign of evil. He imprisons the seven Zmaj that are left on Terra Zem and wishes to turn all the creatures of Terra Zem into bat like ones that he can rule. Sidara: Wife and one true love of Caelholdt. Daughter of Aegis. Silentsong: Weapon that would kill the Dreadbane. Assembled in parts as Arn, Vexxa and the Shadow Reavers followed the quest to retrieve it. Silverwind: City of refuge upward in the sky near the Mountain of Fire, Lightkeep, sanctuary of the Zmaj, a great cloud city. Silver Wolf Cascades: A quiet place in the Tangled Wood near Laughing Rapids where Alkula met Brighton. Silkweed Tansy: Flowers that pop up in the valley of bones to lead Raven and Skyeyes to Kwyjene whom they seek. Simitar: First evil one of Terra Zem. Rose in dragon form and darkened the skies. Slain by Batrayne Fiercewind with the Crystal Sword. Sithnar: Arch enemy of Nuwolf. Murderer of his wife, Cassandra. Leader of a band of thugs who prey on the innocent. Skyebara: The world cleansing. A planting not an uprooting. Not necessarily a war but battles to be fought before Terra Zem may truly be One. Skyeyes: Principle character. Formerly Leolas of the Sky People of Thera Zum a great mountain where her people dwelt until a great storm destroyed the mountain. She was not killed because she had left to be on her own before it happened. Her and Raven become one. Skywynne: The ability to store the life force of some living thing in an object of one’s choosing. An ability of the Arcamancer. Solaris: What a year is called on Terra Zem. Soulreaver: Corrupted name change of former Soulriver corrupted by Lillith Bound, self -proclaimed prophetess and ruler of the city Soulriver, a town driven to debauchery and self-serving pleasure. Unsatisfied with the lives she had destroyed proclaimed herself Shadowend and dug a pit that broke through to Crystalfall and killed most of the Dragones Terrakind. Soulriver: Former name of the town Soulreaver before corrupted by Lillith Bound. Spires of the Echoing Shrine: The location of the academy for the Arcamagi. Stalkers: Mysterious people that Raelyon slayed at a young age. Star Jumper: A male Tindolyn. One of the delegation of four leaders and prime warriors. Stargen: Large fish that travel in schools in the rivers but are often seen floating on the surface of a river sleeping and drifting along with the current. Stone Wasp: Tindolyn captain at battle of the Red Mist. Stormcairn: Tempest’s people. Desert people. Keepers of the Mystic Storm. Masters of the great desert expanse Espandor. Stratogate: One of four principle temples of Terra Zem. Of the air element built by Gaelen. Strixus: Fierce and ancient warring people originally from the land of Helkhadir led originally by wicked Kaga Bloodshield. Children raised from birth to fight, human sacrifice was even practiced until the reformer Yuma Flameseeker. People that Warpath originated from. Stygian Pass: A dark tunnel full of death. Raven and Skyeyes are attacked by a huge number of black panthers there. Sun in her Eyes, Flower, Badger Rider, Mole Fighter, Worm Tamer: Other names of females among the Trocolane. Synestra: Kwyjene’s bobcat companion and beast. Tabitha Lonespear: Female warrior of the Strixus who stayed behind when Yuma Flameseeker fell into his trance. Tabris: An Archane female who accompany the Shadow Reavers as they explore the caverns beneath the Castle Heramon along with a male Archane named Theliel. Tadorst: The great volcano where the carcasses of the last remaining Tantra are thrown. Talon: People of the reptiles near the forest of Farwood. They hunt and domesticate the great lizards all about them. Tantra: Evil giant beings who can camouflage themselves as mountains and lure innocent creatures to be killed and eaten by them. The last of them are killed in the valley of bones and disposed of in the great volcano, Tadorst. Tellurian Orb: An invention of Faoturk Firedorn that senses portals, thin places in the veil, other realms, confused energy, places and creatures of other realms. A glass globe with a vane spinning inside with one black paddle and one white paddle. Tempest: A desert dweller of the Stormcairn. He rides upon a large scorpion dressed in robes the colors of the desert yet intertwined with beautiful reds and blues and green. He has a leather breastplate and a wide belt with a long curved sword as well as many other blades on his belt for throwing. His shoulders are armored and spiked like his scorpion friend. His head is mostly covered with cloth and his eyes have goggles that are slotted in the middle only enough to see through when he is traveling in the desert. When he removes his armor you can tell he is of the human-like races, but his skin is like leather and he is muscular and holds himself confidently like a warrior. He has well-crafted armbands of silver as well as rings on his fingers that resemble claws when his fists are balled up. But his most striking feature is his eyes. They are a shocking and bright blue color, no white parts only a blue shining orb in his eye sockets. They are beautiful and very piercing. He rescues Raven from the sandstorm and helps him acquire the Carnebleu for Altair so he can live. Terafall: One of four principle temples of Terra Zem. Of the soil element built by Alphaeus. Also a labyrinth that contains the Crystal Heart, second piece of the Silentsong weapon. Teragaard: Guardians of Terra Zem. Enya’s people. They live alone and spend their lives living simply, they do gather together at times. At times they defend those needing their help. They pray and follow the Creator’s direction. They are a people who live for a vision that reveals their destiny. At a certain age they leave their people for vision quest. It is during this time they receive a vision and a beast comes to them that they are joined to and they become companions. Terk: The kind store keeper Raven and Skyeyes meet in Forsaken that later becomes mayor of the city of Jeru and transforms it into a place of peace, progress and harmony. Terra Zem: The world where the story takes place. An ancient world composed of various creatures some humanoid, some animal like, some spirit like and everything in between. Terrabithias: Principle city of the Tindolyn. Terrakis: The great sea of Terra Zem. It exists in all the realms of Terra Zem. Home of the Dragones Seakind. Teruliye Sunshield: First created Tindolyn. The Rainbow Divide: That which separates the conscious world from the Dream World. The Tangled Wood: An amazing forest where many creatures live. The Water That Speaks: A magical water of the Trocolane from the underground springs of Pondefar. When it is drank pleasant memories and visions are experienced by the drinker and all who are around that tune in to the sensation. It also has healing qualities. Theliel: An Archane male who accompany the Shadow Reavers as they explore the caverns beneath the Castle Heramon along with a female Archane named Tabris. Tibolt: A strong male warrior of the Teragaard of the Earth element a little taller than Enya and very muscular. Enya’s brother. His ears are long and pointed and swept back and often rise alertly listening to every sound around him. He wears animal skins that are soft and pliable and scaly like a reptile hide. They hang like a loin cloth on the lower parts of his body and come up across his chest and one shoulder. He wears the traditional earring of the Teragaard and has armbands of copper that are intricately formed and fringe hanging from them. His weapon of choice is a spear that has a metal point that is barbed and vicious looking as well as a sling that hangs from his side and a beautiful blade in a sheath also made from reptile hide. He has tribal markings that cover many parts of his body and the mark of the Teragaard inked about one eye as Enya has. Tigwort: A healing plant that grows by the river that kills germs and takes away pain when it is applied to a wound. Tindolyn: Fairy like creatures with dragonfly wings. They are mischievous, feisty and read minds. Torr: Reptilian beast that Arn of the Talon rides. Towerlock: A pendant, three triangles joined. A symbol and key to where the Omega Scroll is hidden. Trail Story: A game Raven, Skyeyes and Kwyjene invented where you read tracks and trail sign and try to figure out what the story was; what took place there. Traxas: Largest of the lizards known to the Talon. It stands four times taller than any Talon and walks upon two legs and sometimes upon all four. It has a huge head and mouth and it can grasp equally well with hand or foot. Treca and Tycane: The names for the twin sister tornadoes that often pop up in the desert of Espandor. Triband: A method of fighting that the Rune use. Three of them back to back systematically turn like a circle killing with the power of their minds and with pole arms like the Halberd and Bardich. Trocolane: Tiny people who live in the Tangled Wood. They ride badgers and live in their burrows. They also have a village above ground. They are a pleasant people and become good friends with Raven, Skyeyes and their tribe. Trog: They looked like walking, upright swine in appearance. They had bulging bodies with long tails darting wildly behind them. They had arms and legs that were muscular but very scarred. The scars seemed to be deliberate like some meaningful marking of their bodies, perhaps to make them seem more fierce; like tattoos but scarring instead. They had claws like the talons of eagles, armor that was partly of metal partly of leather. Their eyes were large and bulbous. They had double rows of pointed teeth and tusks that pointed upward protruding outside their mouths. They had a tongue that seemed too big for their mouth that seemed to be just hanging down and drooling. They were pretty slow compared to most warriors I had fought but what speed they didn’t have they made up in numbers. There seemed to be no end to their numbers. They also seem to have no individual minds but were like puppets being controlled and driven by a mind or minds outside of their bodies. Trydon: Large lizards with a sail on their back that are very aggressive and attack unprovoked. Their saliva is very deadly. Ulric Fade: The tiny fox companion of the priest found dead at the temple. He carried a key upon his collar that opened the lock on the priest’s journal. He was adorned with a collar that had his name upon it and was embroidered with same tree symbols as the priest’s robe. He also wears engraved bone earrings. Urias: Male equine elemental whose master element is fire. He and Sabriel serve as horses and more to Raven and Skyeyes. Valkyrie Santos : A Tindolyn phrase meaning warrior saints or warriors of great size in their hearts. Valkyrie Veritas: The academy of fighting arts. Warriors of Truth. A training ground for peaceful warriors of Terra Zem upon the banks of the Sheng Huo and Fearlock rivers. Envisioned by Raven. Inspired by the training grounds of the Dawn Strikers. Decreed by Eli. Vambrace: One of oldest survivors of the Beskar in the time of the Nocturnedream. He was 734 Solaris. Veritas Justia Innosens: Engraving on Nuwolf’s sword and code he lived by. Translates Truth and justice for the innocent. Vesta: Queen of the Necians. Vexxa: One of ice people, female, the Daenar. One Arn gets very close to and marries. Vox Paladin: The voice used as a weapon that generates a force that can kill. Known only to the Beskar. Vyrane: A plantlike spiky vined creature that lives under the sand and guards the Carnebleu in the deserts of Espandor. Warpath: Leader of the warrior people, the Strixus. They join forces with Raven at the Valkyrie Veritas. Warriors who came out from a people of darkness ruled by a strict and evil general named Kaga Bloodshield. Washita: Brother of Raven when he lived among E-La. Also known as the Mighty Elk. Presides over E-La-Na the people that left the E-La to live in harmony together. Their village is called Gaezon as named by Raven. He has been crippled by Nitawa the great bruin. Raven and Skyeyes teach their village how to hunt and fish and thrive. Watchers: A society of beings that are masters at camouflage and invisibilty. They live in the trees mostly of the Tangled Wood but can appear anywhere. They are warriors and guardians of Terra Zem. Wellacre: City of refuge far to the east deep within Farwood. Whisper: Ice blue mare of Destini. Whispering Void: Another name of the labyrinth where the Shadow Reavers retrieve the second part of the weapon Silentsong. Also the temple Terafall built by Alphaeus. Wiblee Yewtwig: A leaf person and shape shifter of the Gastigar. Windglow: Tindolyn mother of Daystar. Wind Walker: A female Tindolyn. One of the delegation of four leaders and prime warriors. Windsong: City of refuge northeast a great tree city. Windstart: Another Woodsage. One whom Kwyjene apparently bested on her quest in search of the Seakind when he made fun of her size. Wolfwing: The Tindolyn who is captured in service to Ichor and is turned through torture from the Batrayne by Daystar and becomes loyal to the Blue Sage army and gives them intel on Ichor. Wolvek: Principle chief of the ice people, the Daenar. Woodsage: People of wood and field, tree and water that Raven and Skyeyes meet as they journey to find Kwyjene. They are bronze skinned and striped and have a spiny ridge from brow to tail. They also have long expressive tails. Their hair is long and black to bronze and is intertwined with feathers and trinkets. World Walker: One who can walk between the worlds of conscious reality and dreams. 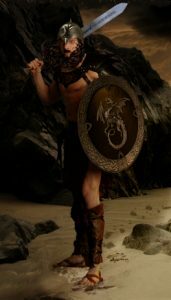 Xagon: Husband, warrior, mate of Xenobia. Xenobia: The old Crone foretold in the journal who knew of the labyrinth that Arn, Vexxa and the Shadow Reavers were seeking to retrieve the second part of the Silentsong weapon to kill the Dreadbane with. Yesu Zefire: The first Zmaj. The Zmaj that lays down his life and then comes back to life. Also a form of Eli. Dwells upon the highest peak of Terra Zem, Icewynne. Yuma Flameseeker: Great reformer of the Strixus, fierce and ancient warring people led originally by wicked Kaga Bloodshield. Children raised from birth to fight, human sacrifice was even practiced. Strixus are people that Warpath originated from. Yustef Fagrin: Holy man and traveler that was found dead at Lochmysse with his eyes gouged out. Warns Shadow Reavers about the Dreadbane. Also companion to the fox Ulric Fade and a friend and teacher of the Daenar. Yuto: One of ice people, the Daenar. Zaildra Wind Dancer: A female dragones of the Zmaj born to Egrai and Isolde. CITIES OF REFUGE: Arkos, the principle city of refuge and geographically it is in the center of them all. To the south is Salom in the valley of Peace. Far north hidden in the land of ice is Ironice. West by the great sea there is Firebrand. Far to the east deep within Farwood is Wellacre. In a northerly direction but in the direction of where the Great Light does set is the tree city of Windsong. And lastly looking upward near the Mountain of Fire, sanctuary of the Zmaj, is the great cloud city, Silverwind. NAMES OF PRINCIPLE ZMAJ: Yesu, High Dragones that rose from dead and lives upon the highest peak in Terra Zem, Icewynne. Muyai and Eris. Eris is the lead principle dragon. Daya and Lystra are keepers of the Lunastones. Egrai and Isolde. The firstborn of the Zmaj are Aelwick Brightsteel born to Muyai and Eris. Firstborn Zmaj since freed from Shinar. Zaildra Wind Dancer, a female dragones of the Zmaj born to Egrai and Isolde. Calina SavageWood, female born to Daya and Lystra. FIRST PEOPLE OF TERRA ZEM : Aelron (water elemental) and Gaelen (air elemental)were the first people of Terra Zem, ancient elementals as old as the beginning of all creation. Alphaeus, first human. FOUR MAJOR TEMPLES OF TERRA ZEM: Lochmysse of the water element built by Aelron. Brytpyre of the fire element built by Yesu Zefire on Icewynne where Yesu lives. Stratogate of the air element built by Gaelen. Terafall of the soil element built by Alphaeus. —Every 4 years is the Great Cold (Winter). —Every 7 Years is the Red Rising. Lunas rises red and it is a time of power for the Arcamagi, Zmaj and the great eagles of Erikaarn and other spiritually sensitive creatures.